New Orleans If, as I’ve argued, we understate the calamity and huge personal costs of injuries from shooting incidents and traffic crashes, in order to soften the blow and delay corrective action and permanent change, we shouldn’t be surprised to find that when violence, death and destruction are a fundamental part of the mission the avoidance is even more fundamentally apart of the package. Here we are talking about military engagements and their special shock and awe. 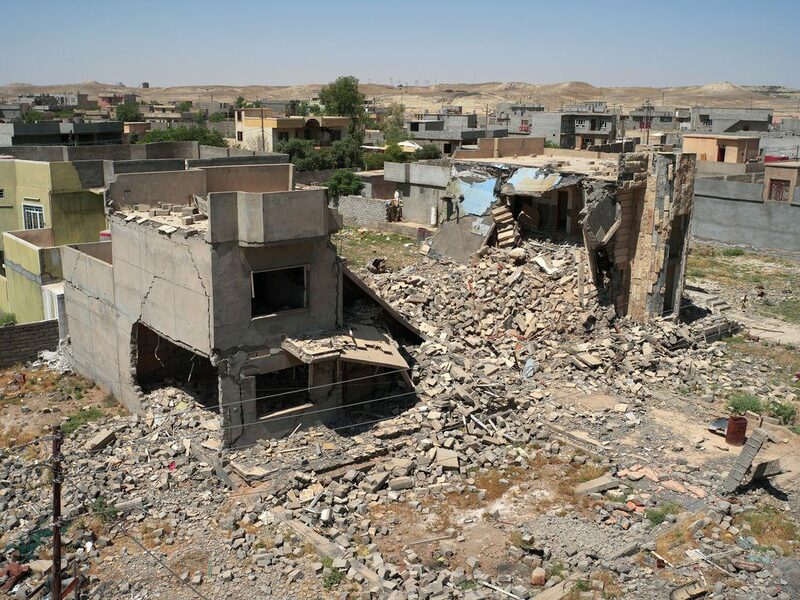 In an elaborate and independently reported investigation that ran in the New York Times, two researchers spent eighteen months and visited 103 sites in Iraq where there had been bombing strikes to determine the extent of civilian casualties from these strikes. To their credit, they had the cooperation of the joint forces, including the US military in their search. They found that the reported number of civilian casualties by the allied forces was thirty times less than what they were able to find from their efforts. It was hard to get a fix on the exact number, because in many cases the record keeping was lax to nonexistent and lacked any central database. I found this incredible. Remember, we’re talking about the military, where everything is counted and recorded in triplicate. It would be kind to say that civilian casualties were overlooked in the fog of war or because of sloppiness in the field reports and the chain of command. Clearly, civilian casualties were not rigorously counted as a matter of military policy from all coalition partners. After all, no reason to seriously count deaths on the ground from airstrikes that you don’t want to know or admit. Politically, horrific numbers of civilian deaths and the attendant destruction of lives and homes, puts a lie to any concept of precision in implementing the airstrikes. Bad politics makes for bad press, and the worsening optics then decreases support for such strikes and lowers funding, and it’s all just a hot mess. It also cost money. International law requires compensation for such victims of collateral damage, both dead and alive. Not counting is connected to not knowing, and knowing causes a reckoning and reparations. We count our own dead and wounded. We need to make the same effort with civilians, dead and wounded. Not counting is not caring. It’s the least we can do. This entry was posted in Ideas and Issues and tagged airstrikes, civilian causalties, Iraq, miliary by Wade. Bookmark the permalink.